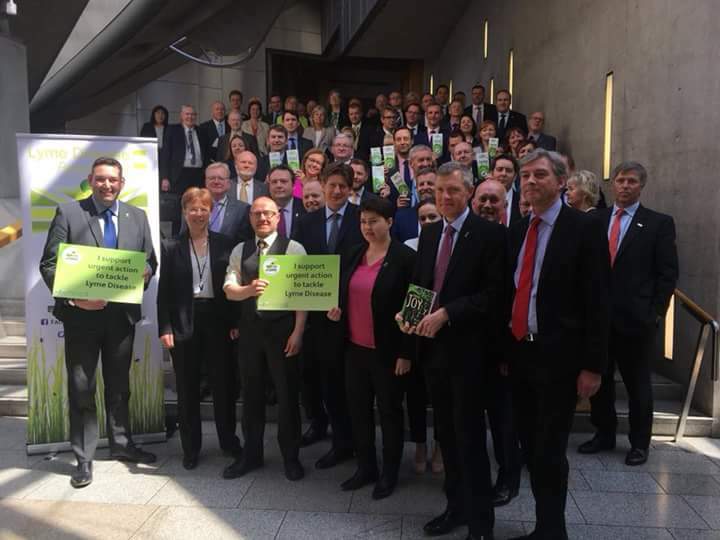 The Tick-borne Illness Campaign Scotland is focussed on achieving better treatment for patients in Scotland with Lyme Disease and related co-infections. A petition has been submitted to the Scottish Parliament and we have prepared background analysis material and patient stories to support our case. The​ petition is now closed for signatures. The traditional view of Lyme Disease is that it is easy to treat with a short course of oral antibiotics. If patients do not recover it is classed at Post-Treatment Lyme Disease Syndrome and no further treatment is offered. However, patients have been failed by this approach and deaths have occurred. Many patients have sought private treatment to alleviate symptoms. “In the fullness of time, the mainstream handling of Chronic Lyme disease will be viewed as one of the most shameful episodes in the history of medicine because elements of academic medicine, elements of government and virtually the entire insurance industry have colluded to deny a disease. This has resulted in needless suffering of many individuals who deteriorate and sometimes die for lack of timely application of treatment or denial of treatment beyond some arbitrary duration." - Kenneth B. Liegner, M.D. in a letter to the Institute of Medicine published in "In the Crucible of Chronic Lyme Disease: Collected Writings & Associated Materials", Oct 2015. Recent research has proved that borrelia, the bacterium which causes Lyme Disease, is persistent and can evade antibiotics. Combinations of antibiotics have been found in-vitro to eradicate the bacteria. A combination of daptomycin, doxycycline, and cefuroxime has been found to be most effective. A recent study "showed that doxycycline, a standard of care for uncomplicated acute infection, did not clear the pathogen" and that vancomycin was more effective. Patients who have been denied more than a few weeks of a single antibiotic are calling for immediate access to more aggressive treatments. We, suffering Scottish patients, call on the medical and political leaders in Scotland to lead the way in ensuring that the recent acknowledgement of such complexities is followed by a change of policy regarding treatment of tick-borne infections which is of benefit to patients; that education of the public, GPs and consultants is increased and brought up-to-date; and that more resources are put into tackling a condition which is increasing in prevalence, has a great danger of negatively affecting the tourist industry, and is placing a burden on the wider economy of Scotland.